Office space you’ll want to work in. 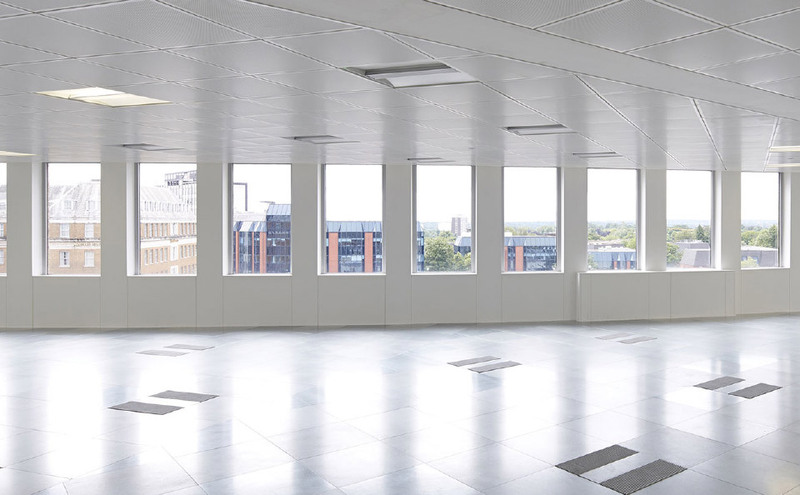 Our office space has been refurbished with evolving businesses in mind. 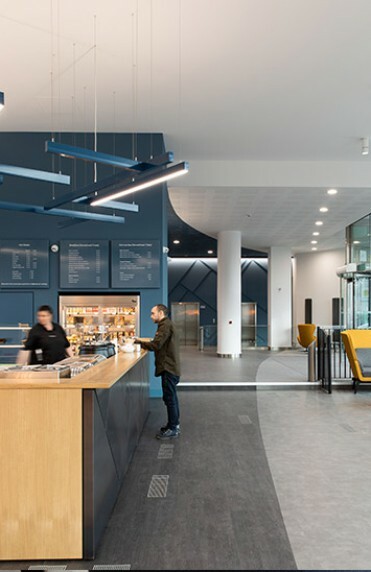 The open-plan spaces are high-specification, light, bright and celebrate the best in modern office design while focusing on flexibility. Our open-plan office space is made to suit you with floor plates that can be easily adapted and personalised to meet your needs. 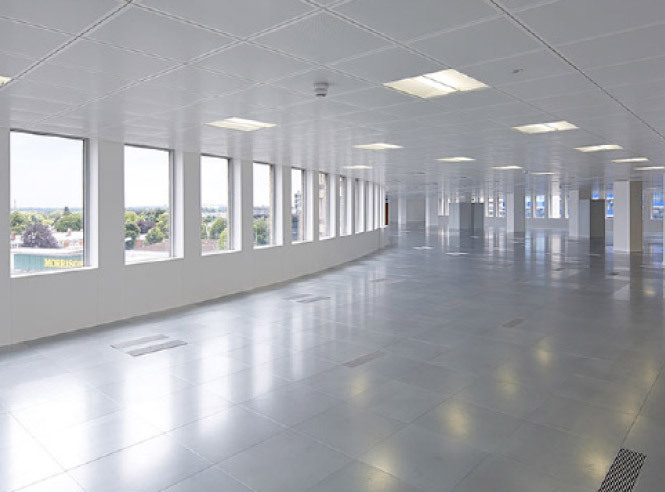 We offer office space from 4,340 sq ft to 15,150 sq ft on a traditional basis. 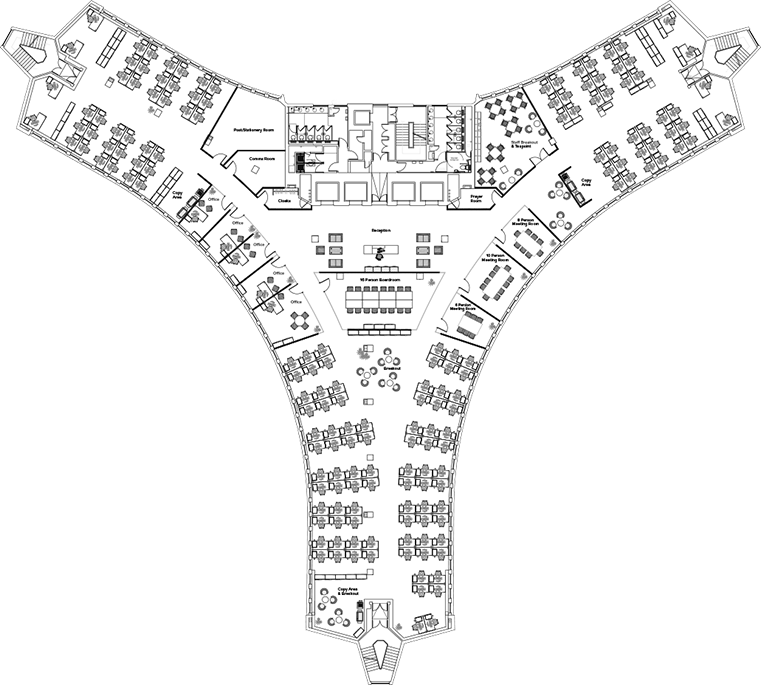 And if you need help with the fit-out, our team is here to design workspace that’s right for you. Indicative medium density floor plan.